A tax-deferred exchange can facilitate significant portfolio growth while also increasing returns on investment. However, there are many specific requirements, deadlines, and structures that can be confusing . If not filed properly “depreciation recapture” can occur. When this happens, gains are taxed as ordinary income at a much higher rate. 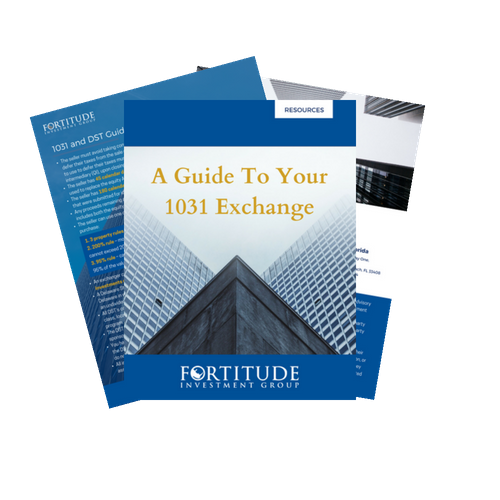 If you are considering a 1031 Exchange, download our ebook that breaks down everything you need to know about the 1031 Exchange. 1031 Guidelines - a clear explanation of all the rules you need to follow while filing a 1031 Exchange. Do's and Don'ts - tips and tricks that are essential for a successful 1031 exchange. Risks and Benefits - a 1031 exchange can be a useful tool for a wide range of investors but there are risks you need to know before filing. Download A Guide to your 1031 Exchange!